The Perfect Craftsman with a TRANSPARENT price! Open Sun 2:00-4:30! Methodically re-imagined in 2008/2009 to maintain and enhance its 1911 charm and appeal! Remodeled from the foundation to roof, this home exudes today's modern conveniences with the allure of the past! The gorgeous kitchen, once featured on the Rockridge kitchen tour, has a ten-foot-long window over the sink to capture the tranquility of the back garden and patio! Sumptuous spa-like bathroom with radiant floor heat, large soaking tub and double-headed shower! Classic California living with great indoor-outdoor flow from the spacious formal dining room with gas fireplace, out thru the French doors to your own oasis! 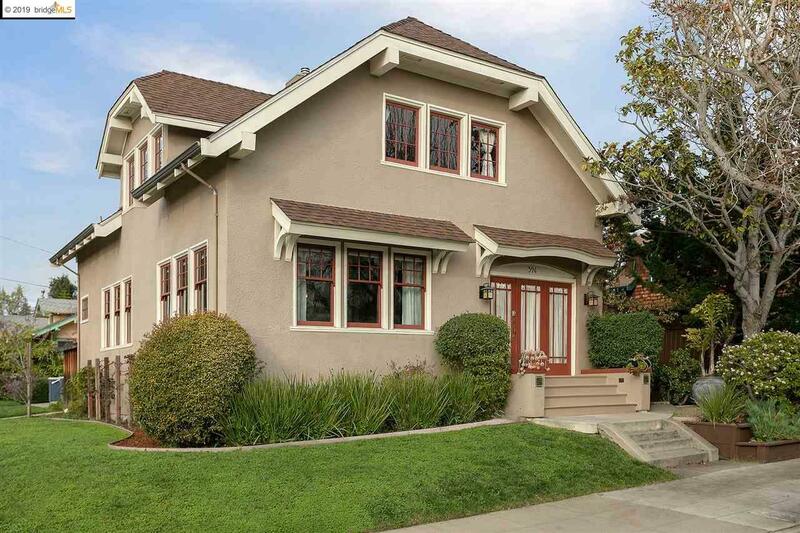 Fabulously special and close to BART and all good things on College Avenue!